"My normal life is going on the train, going every week to a different city," the Boss Clown says. "It's crazy how much I love circus." One of Ringling's two traveling circuses is scheduled to perform its final show Sunday in New York. The other closed this month, in Providence, Rhode Island, and with it, the end to a way of life few others have experienced. The Associated Press was allowed to observe it extensively. 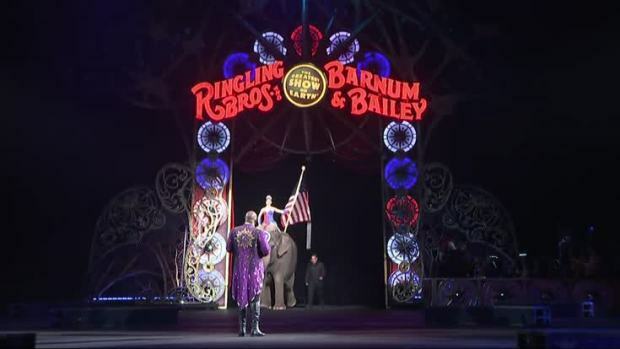 Ringling Bros. and Barnum & Bailey Circus has announced plans to end performances after 146 years. Ringling is the last circus anywhere to travel by train, and while living on a train can be tough, the accommodations are considered a benefit that other circuses don't offer. Perks include the "Pie Car," the mile-long train's dining operation, as well as a circus nursery and school for the many children whose parents make the circus what it is. One of Sandor Eke's earliest memories is of an elephant comforting him, stretching its trunk through his trailer window, while he lay recovering from illness. Eke's Hungarian parents were performing at a circus in Sweden, and Eke was just a toddler. A few years later, he'd be a circus performer himself, and aspiring to come to America to join Ringling. Now, at age 41, he's the Boss Clown, leader of the clowns on the unit. He's also dad to 2-year-old Michael, and they are enjoying the waning days here together. Eke's wife, a former circus aerialist, has already established their new home in Las Vegas. When the circus closes, Eke hopes to get a job as a "flair" bartender there, doing tricks like juggling bottles. "My normal life is this. My normal life is going on the train, going every week to a different city," Eke says. "It's crazy how much I love circus." 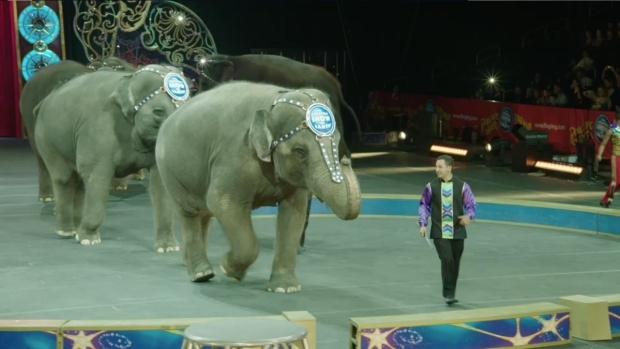 Ringling Bros. circus will phase out their elephant acts after more than 100 years of the iconic acts. Knowing it's coming to an end has been difficult for his fellow performers and crew, and Eke been spending his time trying to make his circus family laugh. "I don't stop until they smile," he says. "And I do everything. I don't care if I have to dive into a trash can. That's how I want to be remembered. And that's how I want to remember myself. I'm going to go and cry. But I'm going to be happy." Vargas was born between two Ringling Bros. shows in Madison, Wisconsin, in 1990. His father managed to perform in the early show, then made it across the street to the hospital — in costume — for his son's birth. Vargas is part of Clown Alley. It's not just a place. In one sense, it's the private area backstage where clowns get ready to perform. But it's also how the clowns refer to themselves, a mini-fraternity within the circus, and a microcosm of it. There's Brian Wright, a circus superfan, of sorts. He was 4 years old when he saw his first Ringling show, and he knew that's what he wanted to do. The morning after the last performance, he'll sit in his compartment on the train and open up a cabinet. There, clowns from years past have written their names, shows and years they performed with Ringling. "I'll get to add my name to the door," he says. "I'm the last one in this room before it is all gone." "Anytime the train was moving, I was on the vestibule," she said, referring to the small standing area between train cars. "Now that it's coming to an end, I was trying to enjoy every minute of it." The Rev. Jerry Hogan, of the U.S. Conference of Catholic Bishops' Circus and Traveling Shows Ministry, is ready in his vestments, made by the costume department from old elephant blankets and decorated with sequined clown faces, crosses and animal prints. Father Jerry, as he is known, blesses water taken from the tap a few moments ago, then pours some on Eddie's head. "Eddie, you're going to be famous. This is the last baptism celebration on Ringling's show in 146 years," he tells the boy. "I just wanted it to be done by Father Jerry," Strickland says. "I've known him for a long time, and I'm happy." 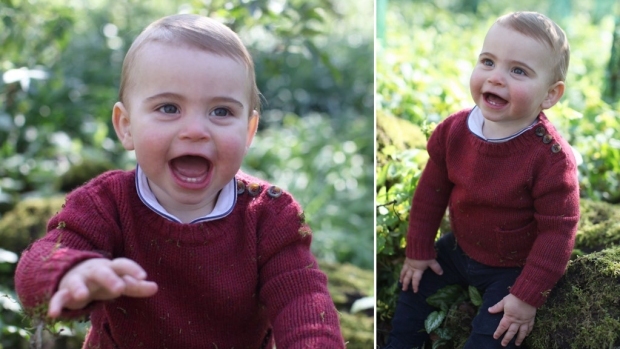 She executes her tricks so effortlessly, it's hard to believe she had a baby three months ago. It was important to her to perform in Ringling Bros.' last shows, she says, and she pushed herself to get back in condition after their son, Amir, was born. "I'm really happy to have a chance to finish this. It's been seven years for us," she says. "This is just history, you know?" Now, they'll move back to Europe. Danguir will appear as a finalist Saturday on the TV show "Arabs Got Talent." The couple dreams of starting their own show, or maybe opening a circus school in Morocco to teach future generations. They're optimistic something good will come along. Finally, after the aerialists, strongmen, the human cannonball and the BMX bikes have all done their tricks, it's over. The ringmaster calls out the families of the performers and crew to join them on the arena floor for a final thank-you.